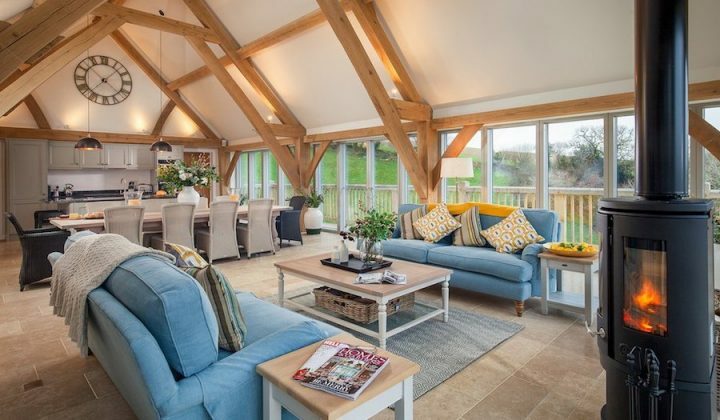 This impressive family home was the setting for Richard Curtis' film, About Time and now you can rent it out and make your own memories here. Shall we have a snoop around? 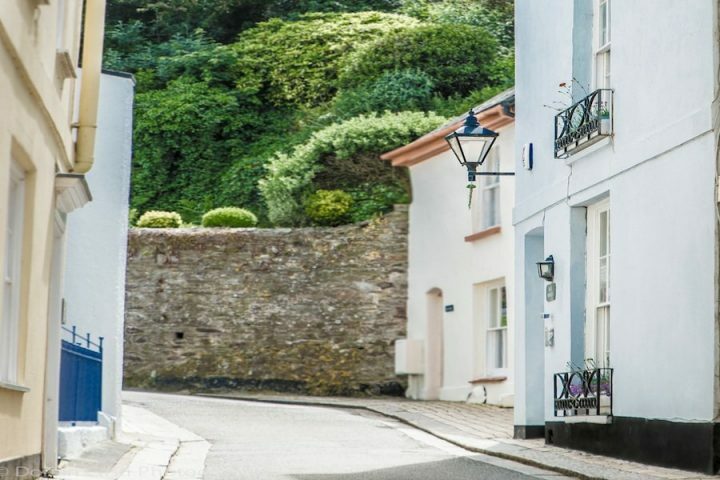 If you’re looking for a large holiday rental for a house party by the sea, read on – you’ve just hit the jackpot! 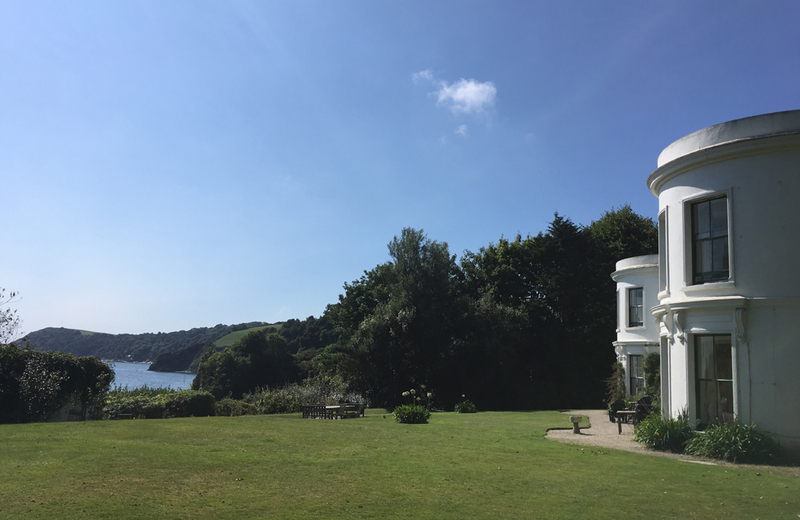 Porthpean House, otherwise known as The Big Beautiful Beach House, overlooks the calm waters of St Austell Bay on Cornwall’s south coast and as self-catering stays go, it doesn’t get much more idyllic. 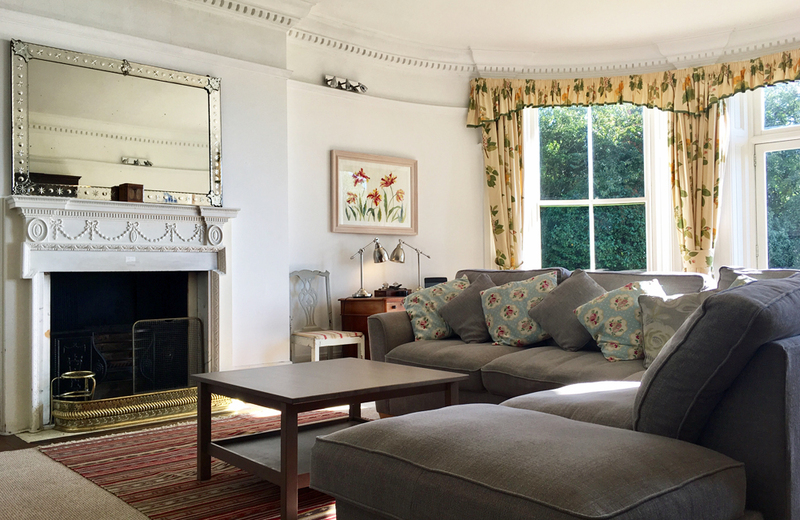 A family home with a big heart, it sleeps 21 and is the perfect setting for a group holiday or special celebration. 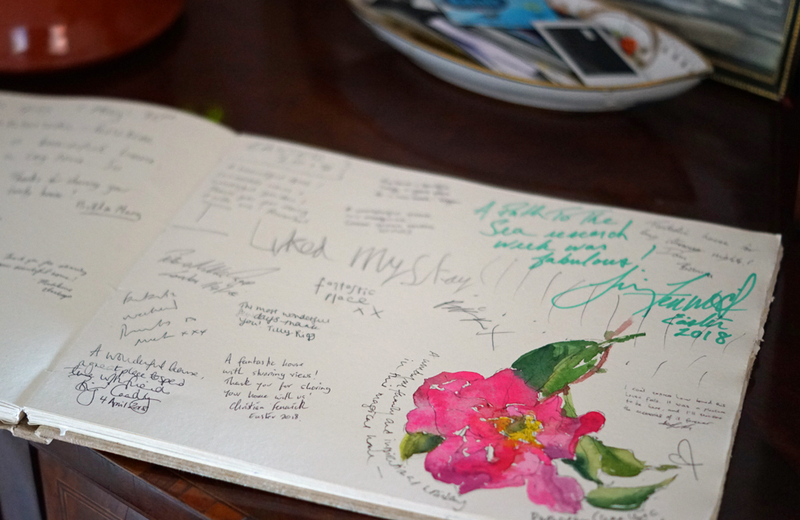 In fact, the guest book is chock full of thank you notes – and even paintings – left by guests who’ve fallen head over heels with the place. 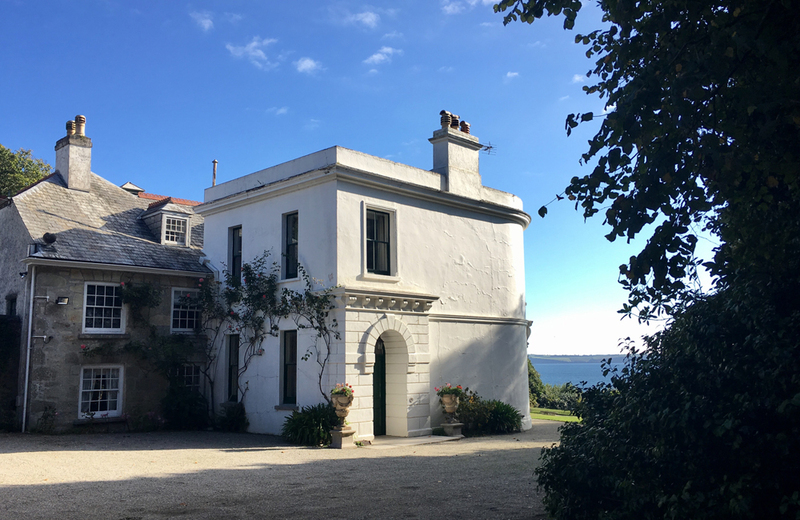 The Big Beautiful House has been owned by the Petherick family for five generations and has been used to a constant stream of family visitors over the years, including siblings, cousins, nieces and nephews, running in and out of the rooms and up and down to the beach. Now none of the family members lives in the house permanently, they decided to rent it out so others could enjoy the special atmosphere and setting for their holidays and celebrations. In 2012 the whole house became a film set, when Richard Curtis came down for the summer to shoot his time-travelling tear-jerker, About Time. 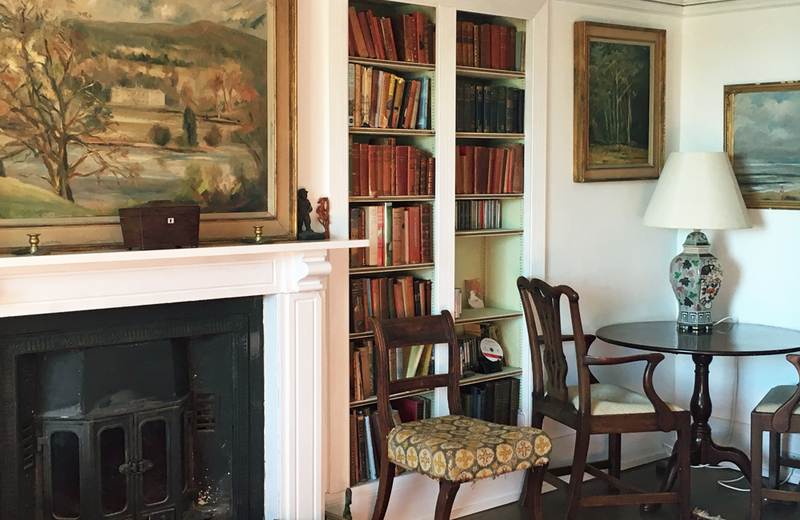 He scoured the country for the right place but it’s easy to see why this particular house won him over. The romantic comedy/drama is all about family, at its heart and you can almost sense a lifetime of happy occasions spent here. Here’s the About Time trailer if I’ve piqued your interest and if you decide to watch it – may I recommend having a huge box of tissues handy. 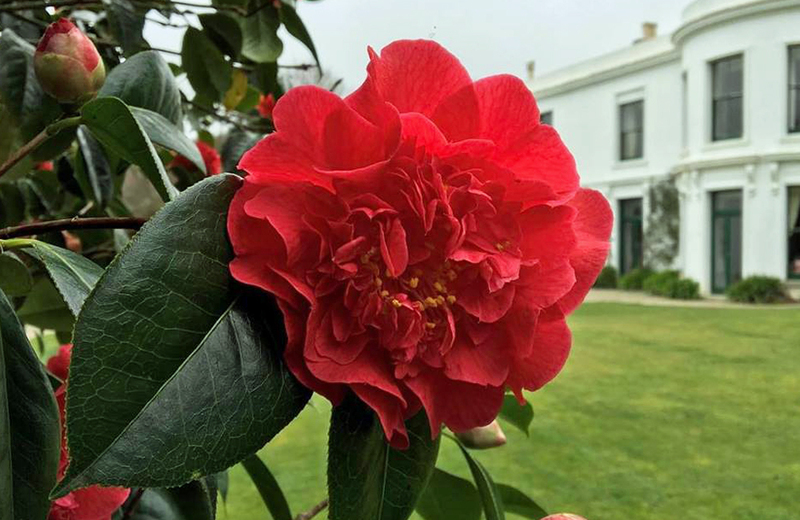 Part of the great tradition of camellia growers on Cornwall’s south coast, the Pethericks have created several new species, named for members of the family, which you can enjoy in the garden at the right time of year. The first two blooms had appeared (rather early) when I visited last month. 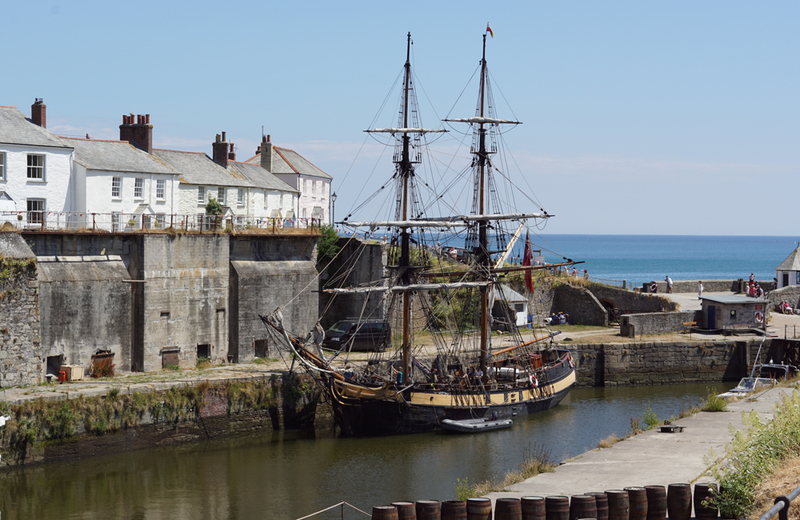 Porthpean is a mile along the coast path from the historic port of Charleston, which features prominently in the Poldark series and usually has an impressive tall ship or two in the harbour. If you’ve not been before, it’s a bustling little village, fairly untouched by time. You’ll find a few good cafes, pubs and restaurants here as well as gift shops to nose about. We love The Longstore restaurant (see my review here) and sister coffee shop and deli, Short & Strong, which is right downstairs. For ice cream, you can’t beat The Tall Ships Creamery, with their fun seafaring flavours, such as Coconut Bounty + Dark Belgian Chocolate, Admirals Amaretto + Caramelised Figs and Lemon Heave Ho. 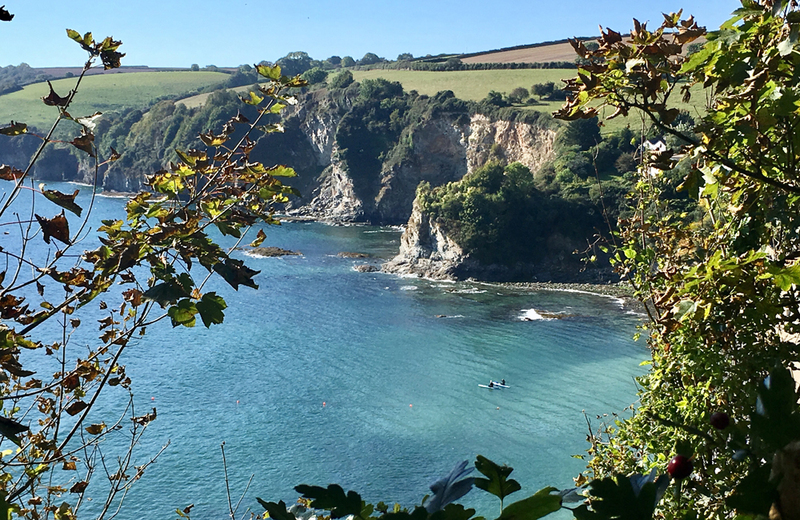 The unspoilt sandy cove at Porthpean was chosen as one of Condé Nast Traveller’s 10 best beaches in Cornwall and it can be accessed via a private path from the front lawn of The Big Beautiful Beach House. 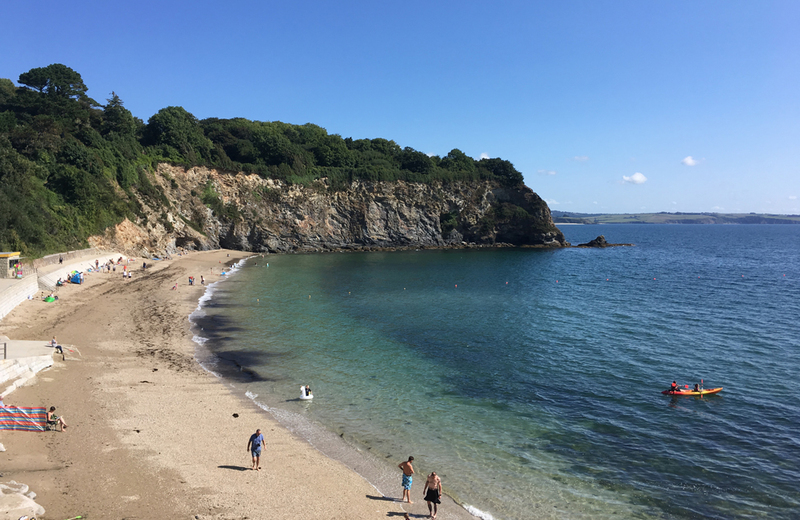 It’s a fairly quiet spot and is popular with local families for its sheltered position and safe swimming. 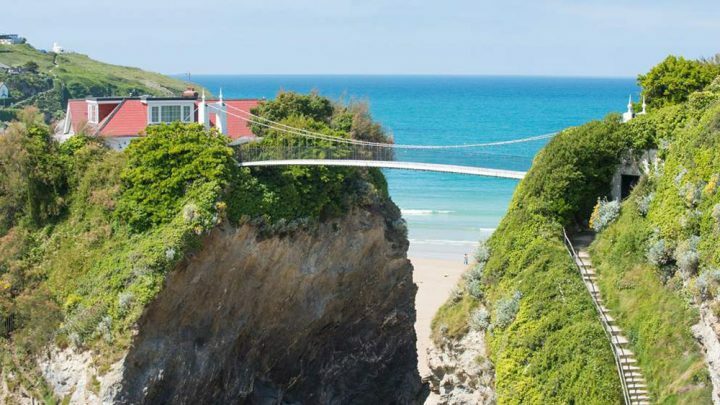 There’s also a low key cafe and watersports centre on the beach, where you can hire kayaks to explore the calm waters, arches and caves of the bay. 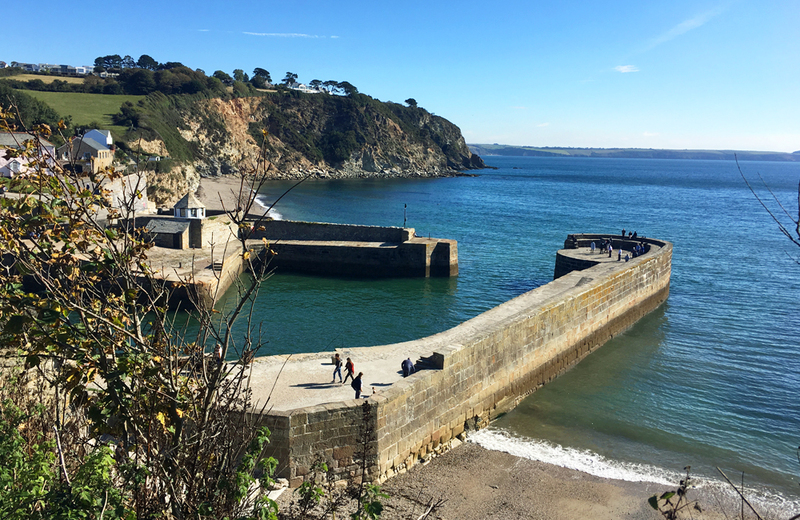 The South West Coast Path is accessible via a gate at the top of the garden and there are beautiful walks in both directions, towards Duporth, Charlestown and Carlyon Bay or Pentewan and Mevagissey. The house has twelve bedrooms and eight bathrooms. 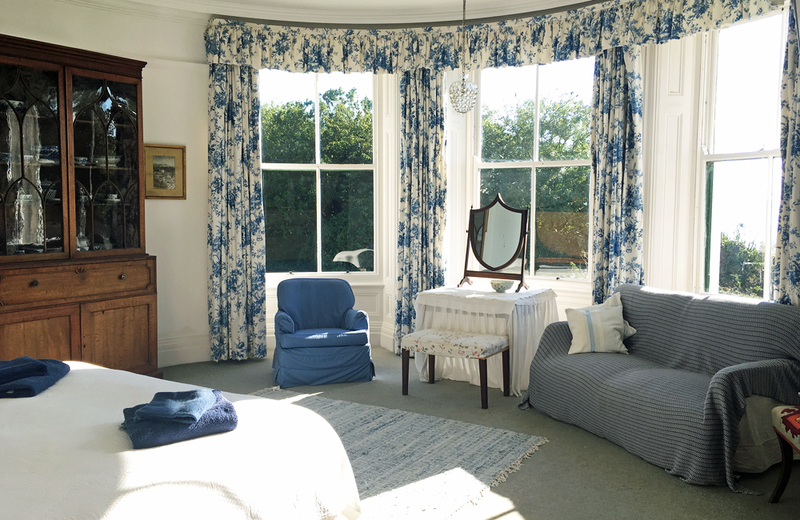 All the rooms are comfortable and characterful but you’ll be drawing straws for the beautiful front bedrooms with bay windows and spectacular views. 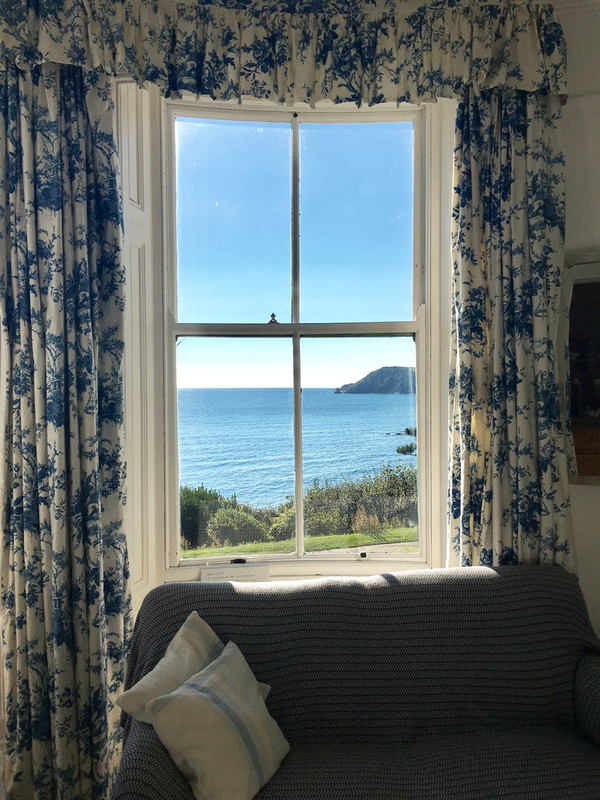 Imagine waking up here to the sound of the sea – total bliss! 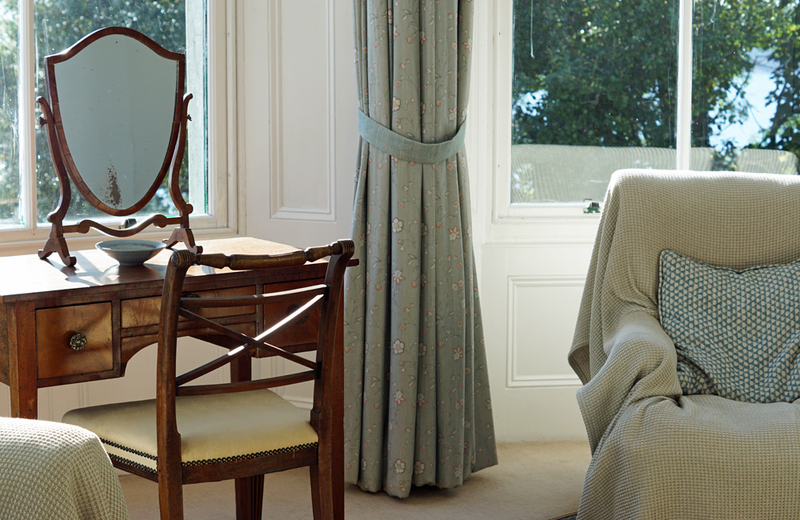 It’s a house full of window seats, tempting you to curl up in the sun with a good book. 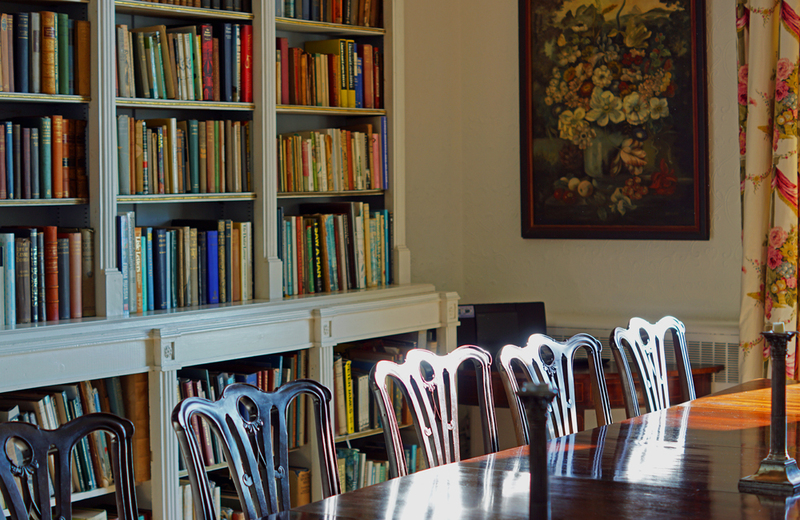 Talking of books, the large formal dining room has a whole library of tomes to keep you occupied. 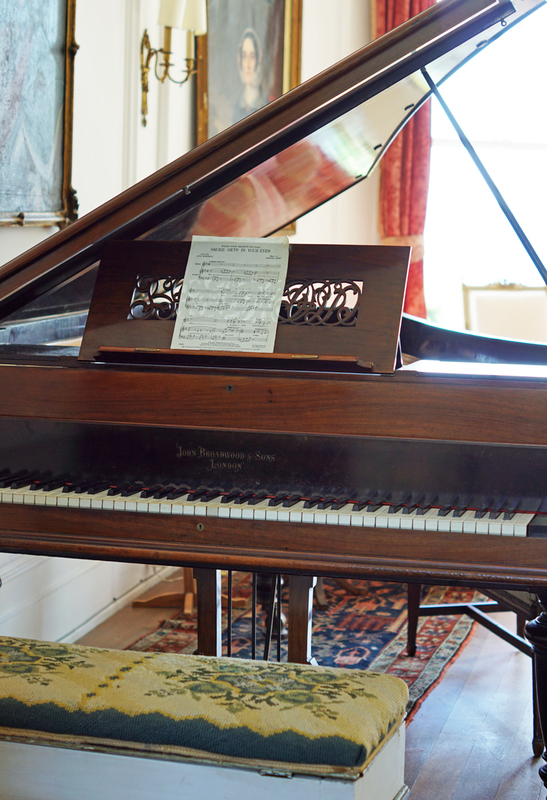 Downstairs, there’s also a relaxed lounge kids will love, with doors out onto the garden and two more formal drawing rooms, the largest of which has an open fire and grand piano, if you happen to have a musician in your ranks. This really is a house made for a happy crowd, with lovely communal spaces and a family atmosphere. 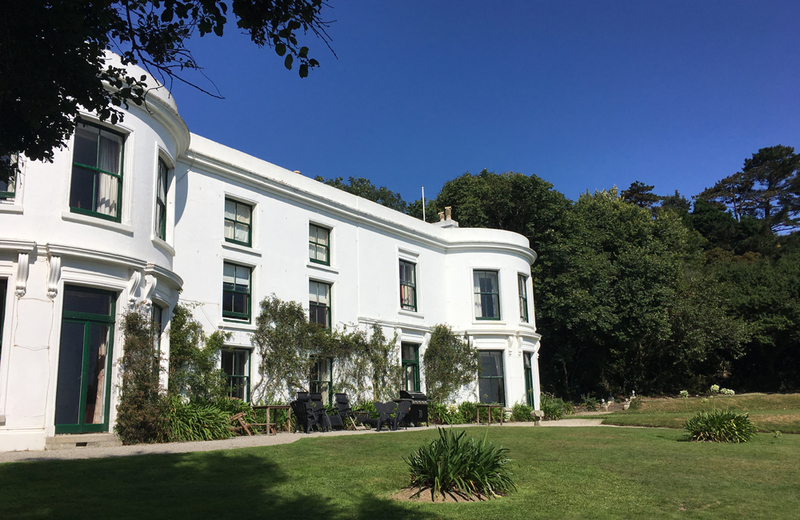 It can accommodate 21 in the main house but a further six people can stay in the lodge, another very well appointed, self-catering property in the grounds. When it comes to catering, there are two kitchens and some guests choose to book a private chef for their stay. There’s even a self-contained double bedroom and bathroom close to one of the kitchens, where a chef can be put up. For larger parties, such as weddings, there’s a perfect flat lawn to the side of the house for a marquee and though the house isn’t licensed for ceremonies, the pretty village church is a walk away. 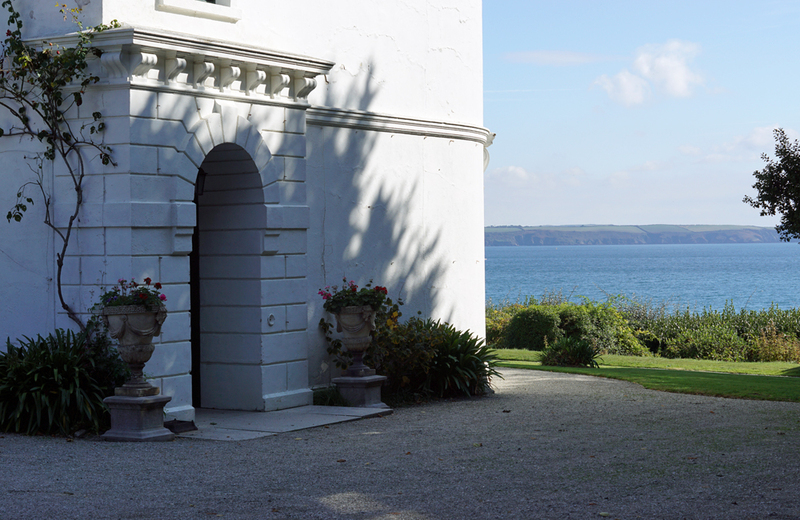 Good for: Celebrations with extended family, group holidays by the sea, intimate weddings. Not for: Lovers of shiny modern interiors.